One of the busiest shopping seasons of the year may be behind us, but that doesn’t mean the small, locally-owned businesses of St. Clair County shutter their doors or go quiet. 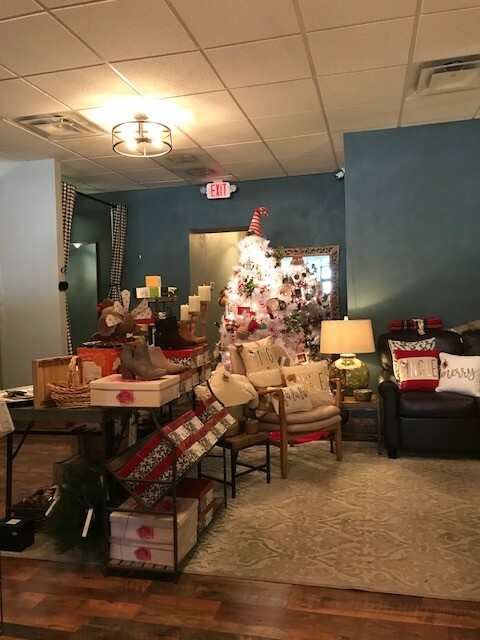 Adorable little boutiques like Hollyhock House in Downtown O’Fallon do the exact opposite– they hit the ground running on Dec. 26, ready to keep their customers happy with classy wares and unique pieces at fabulous prices. Owned by Holly Howard, Hollyhock House came about after Howard moved to the area for work after graduating from Murray State University. 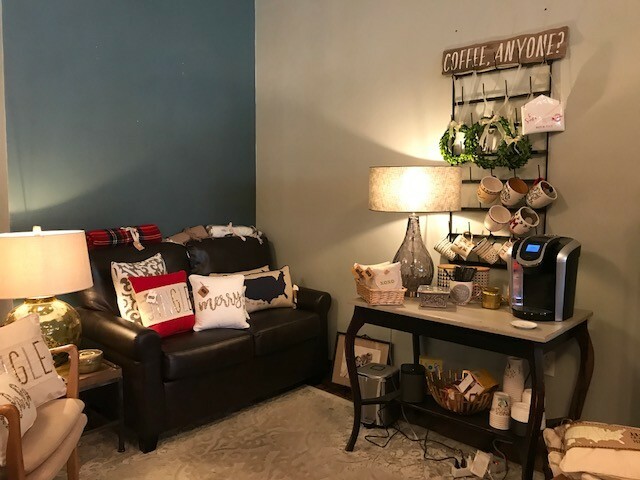 During her college years, she worked for a local boutique and fell in love with the atmosphere of working for a small business in a tight-knit community. She decided that the boutique life was the life for her, so Hollyhock House was born. 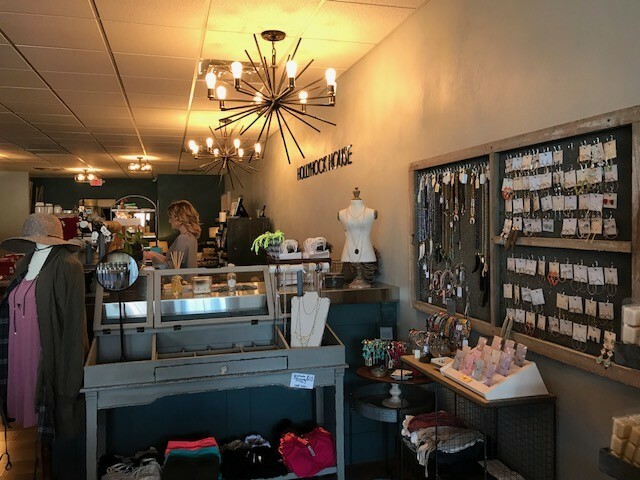 The sweet boutique in the heart of quaint downtown O’Fallon, IL, offers on-trend women’s clothing, stunning jewelry pieces, home decor, and high-end gifts. Need a housewarming gift for your college roommate? Hollyhock House has it. Looking for a pair of booties or a velvet tunic trimmed with lace for your best friend’s birthday? Hollyhock House has it. Need a unique pair of earrings for your mom for Mother’s Day? You guessed it. Hollyhock House is the place to find it. The interior is warm, inviting, and simply filled with pieces you won’t find at any old big-box retailer. Chat with the sales associate while you enjoy their coffee station, hang out in the lounge area while your sister tries on the season’s trendiest outfits, or have a Hollyhock Helper do all the heavy lifting for you while THEY find the perfect gift for your loved one. 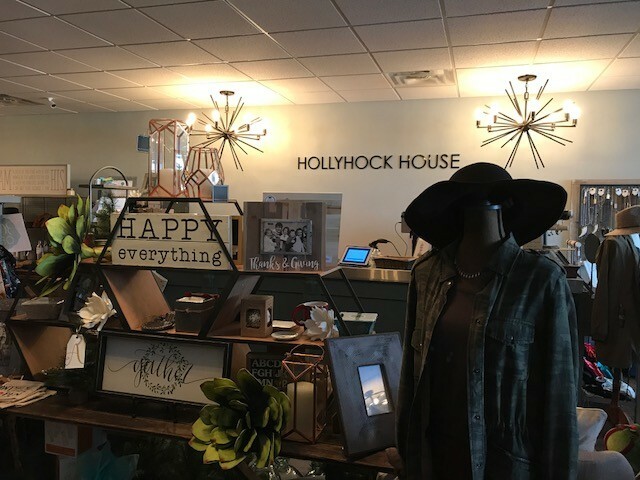 With an active presence on social media sites like Instagram and Facebook, Hollyhock House boasts a perfect 5-star rating on Facebook where all the reviews use words like “amazing!” and “perfect!” and “I want to buy the entire store.” The boutique is a lovely addition to downtown O’Fallon, making it even more of a destination for shopping, dining, and entertainment. Recently, Hollyhock House expanded their website to include online shopping. So even if you aren’t local to O’Fallon, you can partake in ALL the cute things they have to offer and still support a small business while you’re at it. 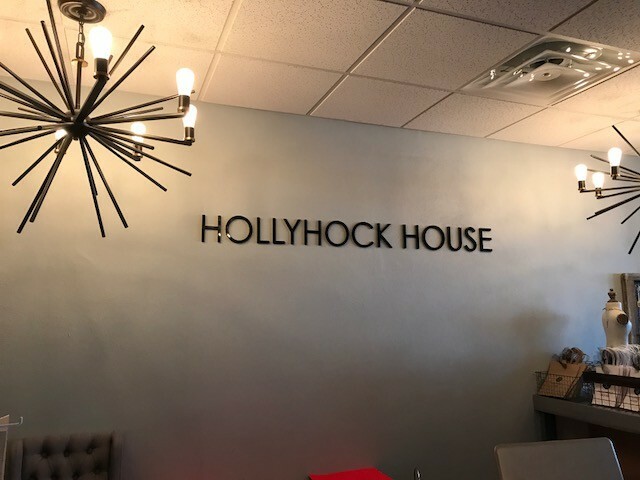 Visit thehollyhockshop.com to read all about the owner, to use their personal shopper service, or to shop all their apparel, handbags, jewelry, and bridal party accessories. 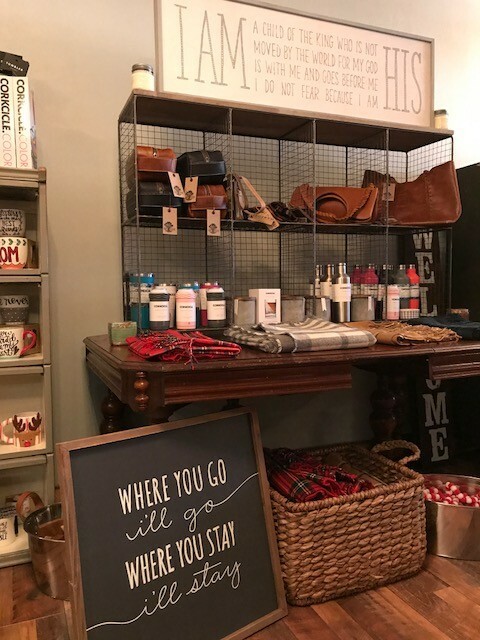 We here at the Inside Scoop with Avenue equally love perusing the shop, trying on shoes, smelling all the candles, and picking up a housewarming gift or two for clients closing on their dream homes. 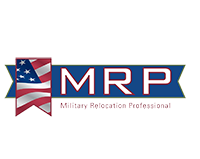 Just another way we involve the entire community when it comes to finding you the perfect house! Hollyhock House is located at 107 W. 1st Street in downtown O’Fallon. They are open Mondays from 11am to 4pm; Tuesday through Saturday, 10am to 7pm; and Sunday noon to 4pm.